Alan, Only just come across your excellent, informative but obviously sad site. Just to say the above named person, Wilfred Matthews, was my father who was tragically killed on his 48th birthday and I can still see the union secretary and the lady senior nurse from the medical centre to this day explaining what had occurred. 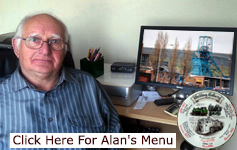 Alan thank you once again for taking some considerable time in putting this web page together. I was apprentice Surveyor at Teversal at the time and I remember printing and colouring a number of plans on Friday 2nd September 1955 for distribution to the Safety department, HM Inspector of mines, NUM etc, for the fatal accident to your father Wilfred Matthews employed as a packer. He was killed in a packhole whilst building a pack on 60s Panel in the 3 feet 3 inches high (1 metre) Dunsil seam on Thursday 1st September 1955 when the roof fell and buried him. My boss Brian Barlow measured up the site on the afternoon shift. I checked up for the date in my work diary that I still have, and found that I have made a mistake as it states 50s panel in the fatal accident list for Teversal. It will be amended now to 60s. The surname of my grandad killed in roof fall at Clifton Pit in 1930 is misspelt, it should be Longdon and not Longden. I know this is only a small thing but I thought I'd let you know. At 45 years old he left a widow and 10 children. The person above was my grandfather, but unfortunately some of the entries transcribed onto Find My Past are incorrect. That may be your error probably theirs. If you could look into the following details please. 4. The Inquest date is shown as BEFORE the accident occurred and was actually on 19th August. I write to you about my Great Uncle Harry Elliott, he was killed at Pleasley Colliery in 1966 and you have his age listed as unknown. He was aged 34 at the time of his death, at this time he was also the Wicket Keeper for Derbyshire County Cricket Club, and his father, Harry Elliott Snr., had caps as Wicket Keeper for England. If you need any further information please don’t hesitate to contact me. Your site is fantastic and I spend many happy hours perusing it - keep up the good work and many thanks from all that use it. 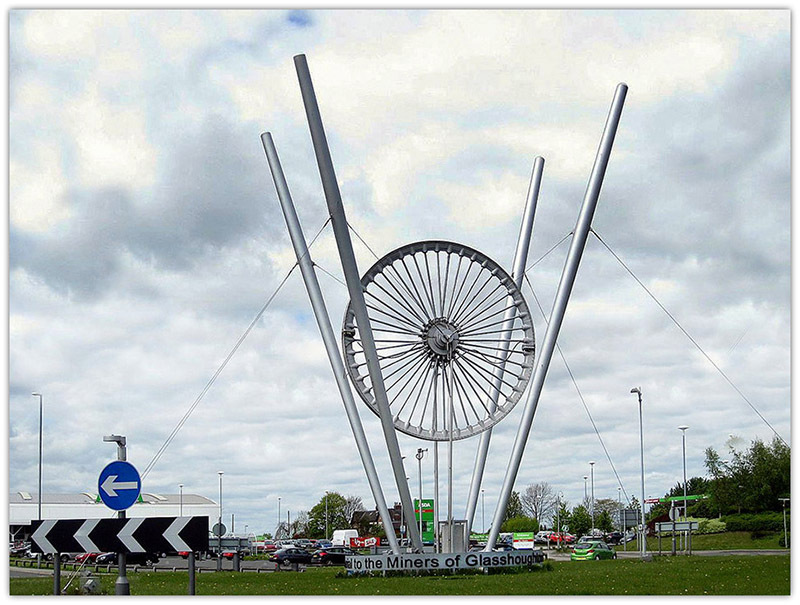 Hello, just saw you website Moorgreen Colliery Joseph Mellors killed 1884 he was my gt gt grans brother. I believe my grandfather, Nathan Inger, was killed at Markham pit at that time or around then how could I find out for sure thank you. On your list of fatalities for Notts. Collieries you have George Edwin Bates killed on 28 Oct 1950. The address you have is incorrect, Cross Drive is in Rainworth not Edwinstowe. His widow, my Great Aunt, lived at No. 9 until her death in 1981. William Grant was my (x4) great grandad. Here's some more details of William Grant, including his date of birth, if you'd like to update his details on your website (his age at death is missing currently). The second ancestor I have discovered, who died in a mining accident in Derbyshire, was William Bradder, he was injured 24 Feb 1892 at Barlborough Colliery, a Stavely Coal and Iron Co., pit. William was a Miner, a Stallman, he was working coal in faulty ground when there was a fall of bind, he died the next day, 25 Feb 1892. I am wanting to try and find any information on the above who was my grandfather. I believe he was killed in a rail accident, crushed between the buffers in 1937. I understand he was a shunter. I am unsure of the pit. He lived in Castleford, West Yorkshire and worked at a local pit, possibly Glasshoughton but I am not certain. I really would appreciate any help you can provide me on the grandfather I never knew. Having accidentally found your web site, I decided to see if my grandfather Joseph Moore was listed as being killed down Manton Pit Worksop. My family understand he was killed underground by a fall of coal that broke his neck. In or around the 1940s. He lived in Kilton Rd., Worksop Notts. I have made further progress in my research and have now his birth certificate. Joseph Moore was born in Worksop on the 2nd October 1883 in Cresswell Street, Worksop, Notts. His father was James Moore, also a miner, and his mother was Jane Moore, formerly Butcher, 'x' the mark of Jane Moore, mother. His birth was registered on 12th November 1883. The death, at the Victoria hospital, following injury in a fall of coal at Manton Colliery of the above aged 60 yrs. 249 Kilton Rd., Worksop. Present at the inquest among others was the colliery manager Mr. P Gaskill. Also H M. Inspector of Mines Mr. W.I. Cumpsty. James Keywood of 58 Manton Crescent said he was working near Mr. Moore in No. 2 east panel. Moore was setting a bar to the roof when a prop from beneath another bar flew out owing to roof pressure, and allowed a piece of stone to fall from the roof and strike Moore on the shoulders and neck. The stone was immediately removed and he was treated for shock by ambulance men before his removal from the pit. There was no sign of a break and no bump was heard prior to the fall. Mr. Moore was admitted to hospital with compression of the spinal cord. He passed away on Monday. The coroner returned a verdict that death was accidental, dated 1943. Mr. Moore was the father of 3 sons and 5 daughters. His eldest son Herbert was my father and was the licensee of The Royal Oak Inn, Abbey St. Worksop and later The Peacock Inn, Netherton Rd. His other 2 sons followed their father as miners at Manton. During my childhood living at the 2 pubs I knew many miners. Also you have reference to Mr Derrick Cooper who was killed at Manton. My husband and I were childhood friends of Derrick, we all went to the Priory schools and lived on the same street. If you would like further details about him for your records I would be happy to oblige. I do hope this information is useful for someone for future family research.